BEST motorcycle training in Massachusetts. Get your motorcycle license! 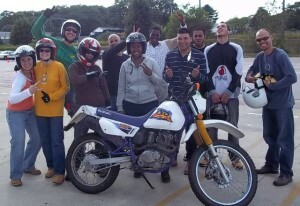 Streetwise Cycle School strives to provide the BEST motorcycle training in Massachusetts. As a result of this drive for excellence, over 15,000 students received their motorcycle license from the RMV by passing the Basic, Experienced, or Returning Rider Course at Streetwise Cycle School. We provide lessons for riders of all skill levels. In addition to 2-wheeled motorcycle classes, we also offer 3-wheel motorcycle courses for Can-Am Spyders, sidecars, and trikes. Streetwise Cycle School students celebrate their success! 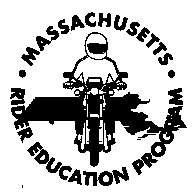 Streetwise Cycle School is the highest rated motorcycle school in Massachusetts. See the fabulous reviews and customer ratings on our TESTIMONIALS page; FACEBOOK; YELP; GROUPON; and GOOGLE. Our expert Rider Coaches LOVE what they do! They have a passion for motorcycles and take pride in delivering the highest quality training! Company owner is on site to ensure quality service. We provide a supportive and fun environment for learning. We offer a variety of Beginner, Returning Rider, and Experienced Motorcycle Training with lots of schedule options on weekends or weekdays. Completely flexible schedule options are available through private classes. Our convenient locations are minutes from major highways including routes 95, 495, 24 and Route 1. Bus service is available directly from South Station Boston to our Raynham site on weekdays on Bloom Bus. We also offer free shuttle rides from the MBTA Quincy Adams Red Line station to our classes. Just call us to make arrangements. Our ranges are LARGE, so you have plenty of room to ride. Free use of a motorcycle is included with the Basic Rider Course and the Returning Rider Course. We offer a variety of MOTORCYCLES: Cruiser, Standard, or Dual Sport styles. Students who pass either the Basic, Experienced, or Returning Rider Course and give us a copy of their motorcycle permit qualify for their motorcycle license without the need for a road test at the Registry of Motor Vehicles. Our instructors are certified by the Motorcycle Safety Foundation (MSF) and the Massachusetts Registry of Motor Vehicles’ (RMV) Rider Education Program (MREP). The RMV manages the Motorcycle Rider Education Program (MREP),providing us with technical support and auditing the quality of our school.